Class Material is a unique space for each class where educators can add and organise all the material that students will need for the class. Materials can be anything from text, files, links to videos and embedded external tools. Students can access the material anytime - on the web, their desktop or mobile app. Note: Only educators have rights to create and edit the content of Class Material. 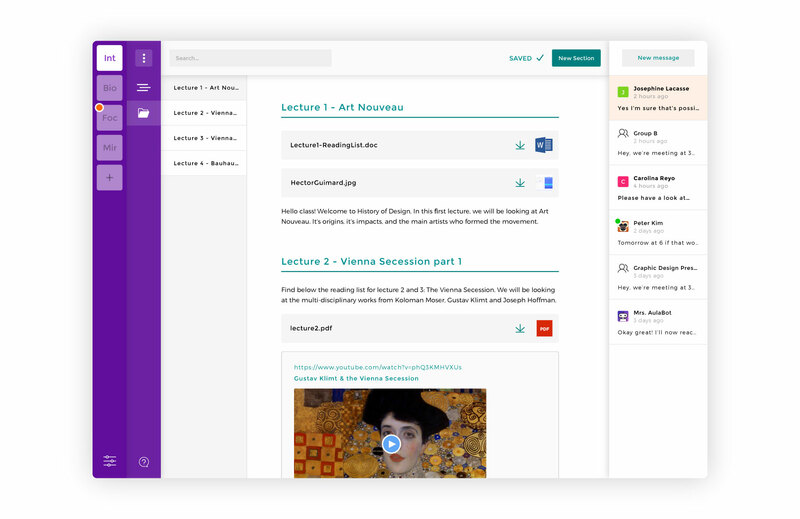 For educators wanting to provide students with influence on the curriculum we suggest using an external tool for content such as Google Docs, Word Online or GitHub.